The flexibility of office cleaning works well for our Green Moppers. We currently employ 36 people, including mums, students, as well as people with second jobs. We look after all of them offering training opportunities, including language lessons for those that need help, and formal qualifications such as City and Guilds. Some of our cleaners have achieved qualifications for the first time. We try to place staff at sites near to their home. Cleaning materials are kept at customer sites enabling staff to walk or cycle to work. If needed, we have a bike pool and loan out bikes. We encourage our cleaning teams to monitor and feedback to customers on other areas which contribute to their carbon footprint. Some great examples include switching off computer screens & lights to save energy, recommending switching from paper towels to energy efficient hand -driers, central recycling bins & removing desk bins for efficient waste management. 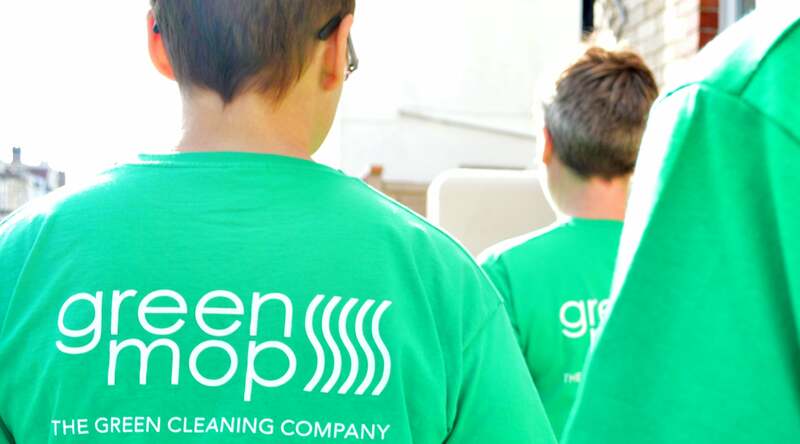 Cleaning is hard work, and we know we get the best work out of happy Green Moppers. We try to ensure we all work in a happy and safe environment. This benefits our workforce and our customers. previous post: ISO audit passed! next post: Green Mop is 10 years old!